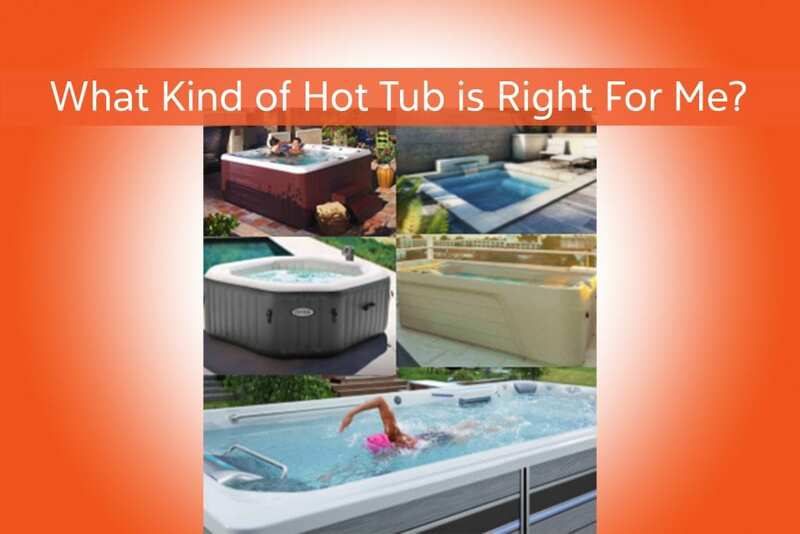 In this article, we will take an honest look at the kinds of hot tubs available on the market today. We encourage you to look at your budget and your dream backyard plan and decide what’s best for you. 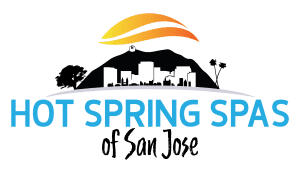 At The Spa and Sauna Co., we sell new and used acrylic portable hot tubs, “plug-and-play” portable hot tubs, and new swim spas. We realize these might not be the best choice for you but would like you to have as much information as possible in your search for hot water therapy. Certainly, the least expensive option, inflatable hot tubs are available for a few hundred dollars. They are most often sold by big-box stores and online retailers. Part of their appeal is the lack of financial commitment they require. If you decide a hot tub isn’t for you, you are only out a minimal amount of money. They are also good for people who don’t own their property or have the ability to put electrical components on their property. Inflatable hot tubs are also easily moved. However, they also easily pop. “Plug-and-play” hot tubs are made of a rotationally-molded plastic which is also used to create everything from traffic cones to kayaks. “Plug-and-play” hot tubs can be used with a regular 110-volt electrical outlet, which saves the owner the cost of installing a more-expensive 220-volt outlet, which is required for almost all acrylic hot tubs and swim spas. Most unicast models offer bench seating. As an added bonus, because of their one-piece construction, these tubs tend to be more budget friendly than acrylic models. Because of this, they tend to be considered an introductory hot tub. These tubs can be moved, if necessary. However, there are some downsides associated with these models as well. They can’t be upgraded to have an enhanced sanitizing systems, stereo system, etc. And often the jet therapy they offer isn’t as intense as the offerings available with acrylic hot tubs. Acrylic hot tubs come in a variety of price points, starting around $5,000 and going as high as $20,000. Acrylic is used to make everything from furniture to light fixtures. These hot tubs can be modest, with basic jets and bench style seating, or very high end tubs, with customized loungers and seats and jets at a variety of locations, like neck, wrists, back, legs, etc. Most acrylic hot tubs require a 220-volt electrical outlet, which requires special installation by an electrician. Acrylic hot tubs give you the most options in terms of features, such as speakers, waterfalls, lights, upgraded sanitizing or ozone systems, enhanced covers, etc. Acrylic hot tubs offer stylized cabinets that look like hardwood but are more durable. Additionally, they can be moved, should you relocate or decide to sell your spa. Both acrylic and “plug-and-play” hot tubs require a certain amount of maintenance. They do need to be purged, drained and cleaned every 4 months. They also require small amounts of time maintaining chemical levels on a weekly and daily basis. Services are available for this type of work if you prefer to have someone perform routine maintenance for you. 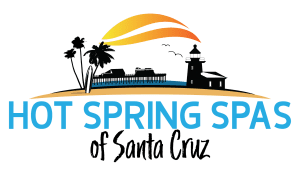 Swim Spas offer the best of both worlds – an environment to swim in cooler water, around 80 degrees, and an area to soak with contoured, jetted seats. Swim spas can be installed indoors or out, semi-in-ground or above ground. These tubs can be expensive, starting around $20,000 and going up to about $60,000, depending on options and features added. Some models offer enhanced exercise equipment, including underwater treadmills. They are great for family fun and athletes of any level. Unlike an in-ground swimming pool or hot tub, a swim spa can be taken with you when if you move. However, installation can be tricky and may even require a crane. The Spa and Sauna Co. does not carry in-ground hot tubs. In-ground hot tubs are often made of fiberglass, which is also used to make airplanes, waterslides and speed boats. In-ground hot tubs can be a beautiful part of your backyard and they can look like a natural water feature. However, in-ground tubs of similar size often have fewer, less targeted jets and more bench-like seating, which some people find less comfortable than the options available in acrylic tubs. Also, an in-ground fiberglass hot tub can’t be moved and taken with you. Once it is a part of your landscape, it is there to stay. We hope this hot tub overview has made your search for hot water therapy a bit easier.